Prostate cancer is the second most diagnosed cancer and second most leading cause of cancer deaths in men living in the United States. Nearly nine percent of men that are diagnosed with prostate cancer will die from the disease. All too often the topic of prostate cancer is one that is either joked about or avoided by men all together. It’s important not to be in the dark when it comes to facts about prostate cancer. Discerning the truth from fiction are the first steps towards understanding prostate cancer and increasing your chances of effectively fighting the disease. Below are some of the most common myths associated with the disease. Family history: Your chances for developing the disease more than doubles if you have a relative, be it your father or brother who has also had prostate cancer. Your risk will additionally increase with each new family member who is diagnosed. Race/Ethnicity: Prostate cancer is more common among men of African-American heritage. In fact a past study has shown that African-American men are 60% more likely to develop prostate cancer over the course of their lifetime than any other ethnic group in the United States. Only the more aggressive cases of prostate cancer will require immediate treatment. In many diagnosed cases, the cancer is found to be slow growing and a doctor will conduct treatment that is called “Active Surveillance”. Essentially what this means is the cancer will be monitored over a period of time. An urologist will only intercede medically if the cancer worsens. The nerves that encompass the prostate and control the capacity for erections may be adversely affected during some prostate cancer treatments or surgeries. Age of the patient will play an important factor as to how quickly he will regain full erectile function. Most instances of post-treatment erectile dysfunction can be overseen by your urologist. Medications such as Viagra or Cialis may also be prescribed by your doctor for treatment. Increased PSA levels can merely be indications of an enlarged or inflamed prostate gland. 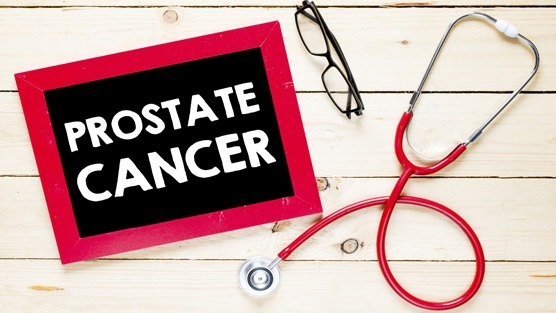 Increased PSA levels don’t necessarily mean that you have prostate cancer but will give your doctor determine if a biopsy is needed to confirm whether or not you have the disease.